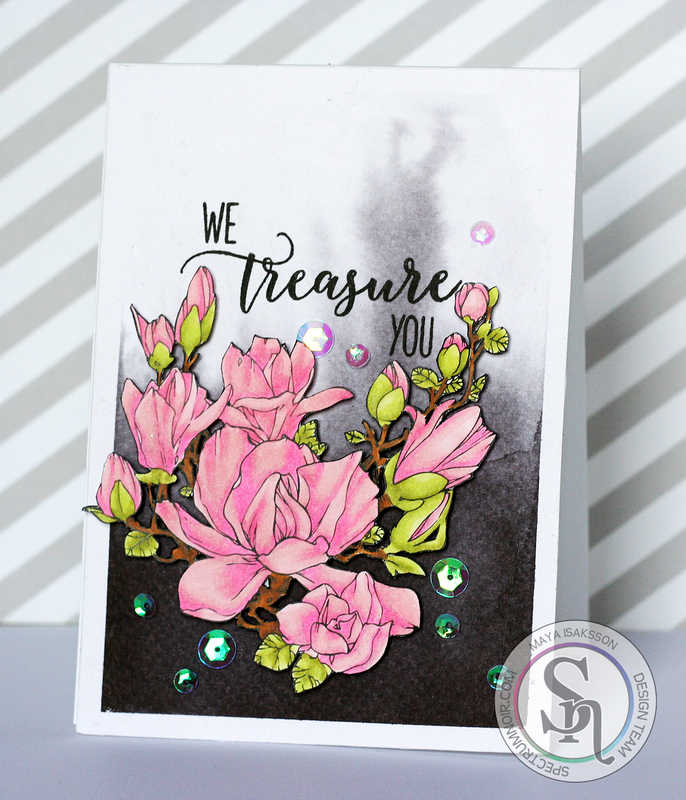 I shared a tutorial for making the pretty background for this card using AquaTints on the Spectrum Noir blog yesterday. I really love how this card turned out with the bold black in the background and the pretty pink flowers in front. The sentiment by Winnie & Walter is just fit perfect with the flowers. I was so happy when I was done with the card and am happy to share it. For the full tutorial on the background make sure you pop on over to the Spectrum Noir blog. If you haven't visited before you really should. It's full of useful tips and tricks and tutorials and wonderful projects made by the SN team.